What began in 2003 as a small niche party for 100 people on a monthly Wednesday night has now — 15 years later — become a weekly San Francisco institution. Back then, long before anyone had even heard of the term “mashup,” local DJs Adrian A and Mysterious D simply wanted to throw a party dedicated to those genre-and-copyright-busting “bootleg” blends that could only be found on the internet (a fact that’s still true!). At the time, they said it would last either six months…. or much longer. Fifteen years later, it’s obviously the latter. 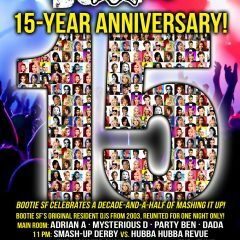 Of course by now, everyone knows what a mashup is, and while the novelty of hearing two or more songs mashed into a hybrid creation has waned, Bootie SF continues to fill the DNA Lounge every Saturday night, due to its creative theme parties and heavily curated mashup playlists, often paying mashed-up tribute to a specific artist, decade, or genre. 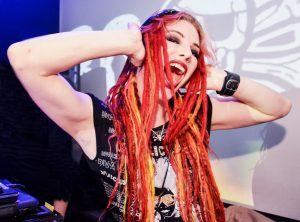 Bootie Mashup has also been one of San Francisco’s finest exports, with sister parties happening regularly in LA, New York, and Seattle, as well as touring overseas to cities like Berlin, Hong Kong, and Rio de Janeiro, just to name a few. 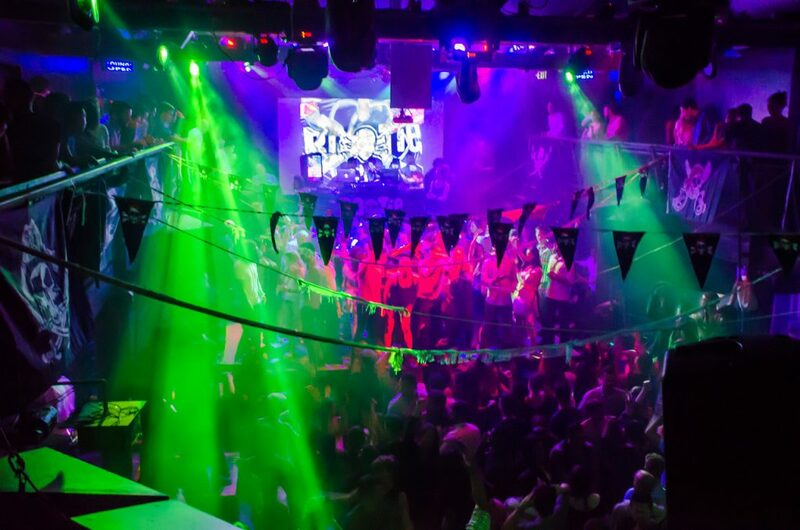 But the party all those other cities want to be is the big one based in San Francisco, the one that started it all, the one that has won numerous local nightlife awards over the past 15 years. 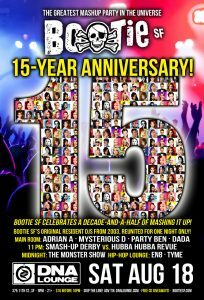 A typical night at Bootie SF at DNA Lounge. Adrian A, co-founder of Bootie Mashup. Bootie SF’s success is not only due to the fact that it plays mashups that span several genres, eras, and styles. It’s also because Bootie isn’t “just” a DJ night. Every week, there’s a stage show featuring burlesque from Hubba Hubba Revue, drag from the Monster Show, or Bootie’s own live mashup rock band, Smash-Up Derby, in addition to aerialists and circus performers. 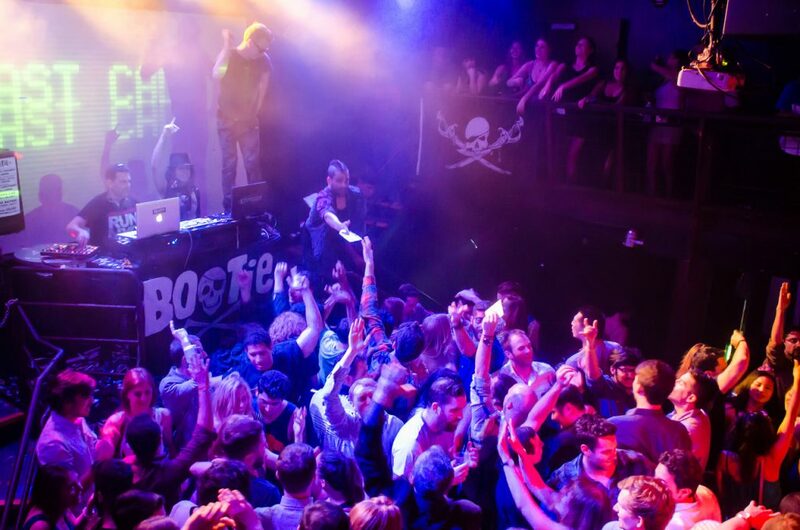 Founder Adrian A has been instrumental in keeping Bootie SF reflective of the eclectic San Francisco culture that it was born from: a flavorful mix of all kinds of people, claiming that Bootie is neither straight nor gay. Instead, it’s a “San Fransexual” party! 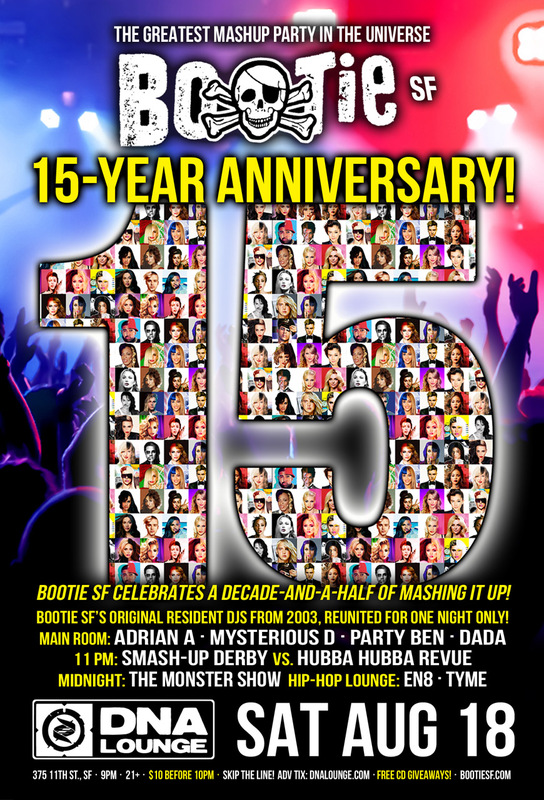 On Saturday, August 18, Bootie SF will celebrate its 15-Year Anniversary by bringing back its original team of DJs from 2003 – creators Adrian A and Mysterious D, as well as mashup legend Party Ben, and opening DJ Dada. Hubba Hubba Revue and Smash-Up Derby go head-to-head to bring burlesque and a live mashup rock band together on stage at the same time, while the Monster Show holds down the tradition of having a drag act perform the Midnight Mashup Show. DJs Tyme and EN8 hold down the Upstairs Hip-Hop Lounge, and it wouldn’t be Bootie without free mashup CDs — yes, STILL! For some reason, people still seem to want those free giveaway CDs in 2018 — even if they haven’t had a CD player since the early ’10s! Handing out free Bootie Mashup CDs — still! — to the crowd at DNA Lounge.